Besides Silicon Valley there are other hot spots emerging, attracting companies with venture capital, educated workforce, less administrative burden and friendly environment to develop their business. One of them is undoubtedly London with its Silicon Roundabout. What are the strenghts and weaknessess of both destinations? What is unique for them? 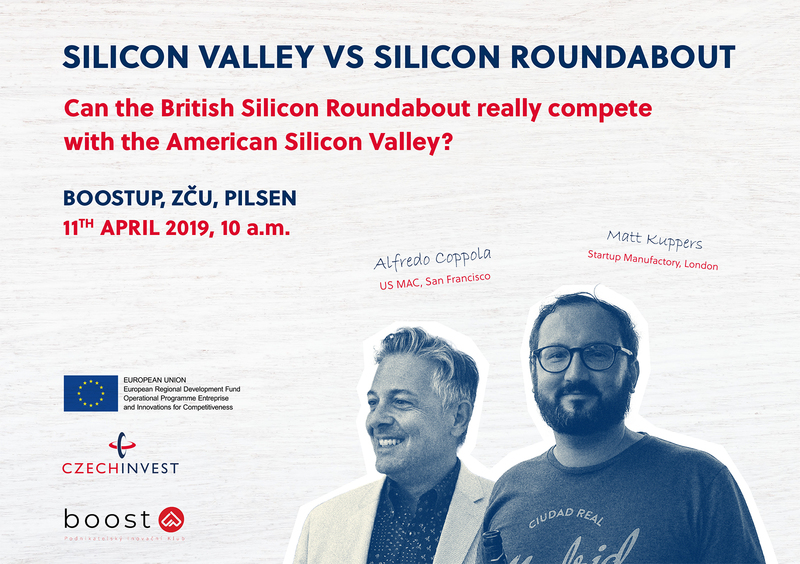 Why you should go to Silicon Valley or London – Silicon Roundabout? Alfredo Coppola: Alfredo Coppola is Co-CEO at US Market Access Center, the longest-standing high-tech business incubator in Silicon Valley for foreign companies seeking to successfully enter the Silicon Valley and the greater US Markets. Matt Kuppers: Private Sector Development consultant with 11 years of experience. Including: start-ups, venture capital, consulting, and public tenders. Founder & CEO of Startup Manufactory. You will get all the answer at Startup Brunch in Pilsen and more during individual sessions with the speakers! Who would you like to individually speak with?